Bonus Info: FREE $160 Bonus - 18+. T&C's Apply. 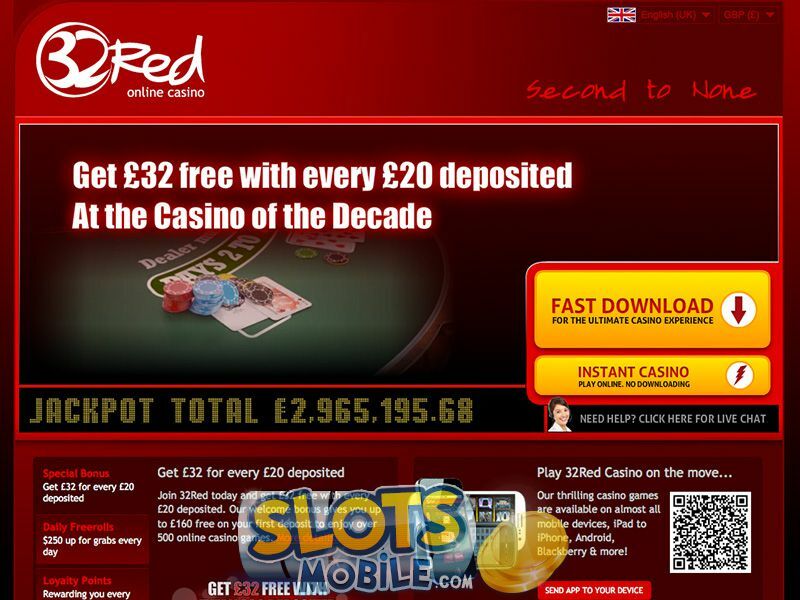 32Red Casino is a part of 32Red PLC, a publicly traded company that offers betting, poker and various gambling games to their customers. First established in 2002 and targeting the UK market exclusively, they have now started to own a big share of other regions too. Big part of the success enjoyed by this company hides under the fact that they use MicroGaming as their main software provider. ”MG” is known as the largest developer of a wide range of online gambling related products, as well as for constantly improving the user experience in these. With a range of over 450 games developed, you can be sure that finding one that suits yourself won’t be much of an issue. All these games can be played in either instant or downloadable environment. When it comes to mobile, 32Red will give you access to over a dozen of top industry titles. We’ll get more into that shortly. Exceptional quality casino games for computer users isn't the only perk that comes from a cooperation with MicroGaming. There also is mobile games that are of equal quality. Sister company of MG, known as Spin3 have developed 19 games that you'll be able to play on your mobile or tablet device at 32Red. What's even better is that the variety of these is greatly thought out. You won't be limited to playing games of a particular types, but rather a range of them. Video Poker, Roulette, Baccart, BlackJack are all available as well as some very known titles for mobile slot machines – Thunderstruck, Avalon, Tomb Raider and a handful of others. 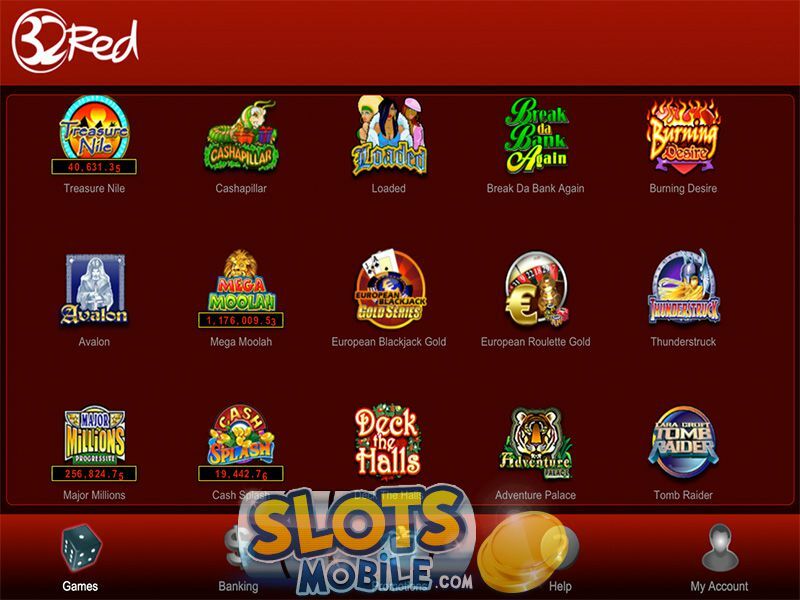 While just about any device, given that it supports Java, is compatible with mobile gambling at 32Red, we wanted to have them all listed anyway. You'll be able to gamble on your iPhone, iPad, any Android powered device, BlackBerry smartphones and almost any Nokia development. As stated previously, if your phone can handle Java applications, it will most likely be compatible too. There are multiple ways to contact 32Red, should you have a need to do so. Find them all below: •	Live Chat – available throughout the day. •	E-Mail – dedicated addresses depending on your issue. Support@32red.com for general enquiries. •	Toll Free Phone Numbers – UK: 0808 180 3232 Other Countries: +350 20059759 •	Skype – add skype_32red to your contacts. Available for calling only. •	Snail Mail – send a letter to 32Red Plc, 942 Europort, Gibraltar.